Released early in 2007, Soukou Kihei Armodyne for the PlayStation 2 is a strategy/simulation game by Omiya Soft. A very futuristic and mechanical feeling permeates the game, so naturally the music reflects this atmosphere. Renowned composer Yasunori Mitsuda stepped up to the plate to compose the game’s score; this style of composing isn’t too familiar to Mitsuda, who has had most success with his Celtic-inspired themes. 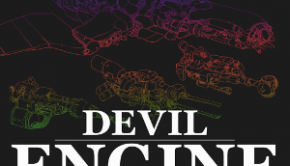 However, he has had some experience composing in this mechanical style with his effort to the Front Mission: Gun Hazard score alongside Nobuo Uematsu, Junya Nakano, and Masashi Hamauzu. It is expected that some listeners will be skeptical on their first listen to Armodyne, however most of the queries and skepticism should be laid to rest after listening to the album. Listeners are met with a spectacular opening track, which can only be described as epic, despite its unfortunate brevity. The track, “ARMODYNE”, has captivating vocals by Kyoko Kishiwaka, and is overall a very melodically impressive piece. So far, Mitsuda’s high expectations have been easily matched. For the remainder of the disc, mechanical sounds and rhythms are shown at random intervals, occasionally consisting for entire tracks. This factor is a mixed bag; it is understandable why these sounds are used, given the premise of the game from which the tracks originate, however sometimes they can become tedious and repetitive. Not all tracks fit this criterion; a majority of them prove to be excellent melodies, even with a somewhat clichéd militaristic feel about them. As for the sounds and rhythms themselves, I speak mainly of marching drums and sound effects that can only be described as technological. Describe them any way you like, but they still sound as if they belong in the military. In Armodyne, when a track is good, it is extremely good. Apart from the aforementioned opening theme, there are several tracks that are spectacular in terms of amazing instrumentation and intense, atmospheric melodies. One such track is “Prologue ~ Dark Conspiracy ~,” with its foreboding feeling that portrays darkness and mystery. 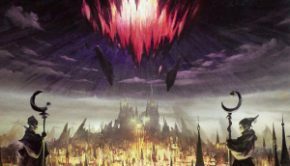 The entire build-up to the climax, and the climax itself, all warrant a reason to give Yasunori Mitsuda a nice big pat on the back. Seemingly, every style of music he touches is, in one way or another, impressive. Another impressive track is “To Dust and Ashes,” a melancholic theme. Being one of the only tracks without unnecessary militaristic instrumentation, it came as a treat to my ears to hear such a thorough and moving piece. Other favourites include “Logistical Support,” a hopeful track with spectacular variation in terms of instruments and sounds used. Even choral vocals pepper the edges of the track. Additionally, “Black Wraith” is definitely one to listen to, with its heavy metal feel. The use of instruments really makes it an overall enjoyable listen. Also of special note is “Parts Shop”; the most light-hearted track on the disc, other than “Goodness Gracious”, the following track, which is a great example of mixing light-heartedness, frivolity and innovation. One would not expect a “shop” theme to have even an ounce of an epic feel to it, but this one does, due to its unique and particularly enjoyable melody. Unfortunately, while some of the remainder of the tracks left are fairly above average, a majority fall short. I’m speaking of tracks which can only be blatantly described as “filler” tracks. For example, “Command and Control”, despite having an extremely promising start, is condemned to have a repetitious melody which goes on for much longer than it should. “Stage Zero,” in my opinion, is also on the same level as “Command and Control” (and a number of other tracks). The melody gets really old, really quickly. I, for one, always skip tracks such as these. Luckily there aren’t too many of them; they’re powerfully outnumbered by the grander tracks. Two words to describe the first disc of Armodyne would be “solid” and (unfortunately) “inconsistent”. It’s a shame not all tracks meet the expectations of others, however some of the more bad ones can be misleading in the sense that they have potential to be something great and memorable. Ultimately, Disc One has little alterations in the grand scheme of things. The oft-mentioned militaristic feeling shown by the tracks can prove to be very tedious; however the enjoyable tracks make up for this. The first disc is a commendable performance from Yasunori Mitsuda, but also one which could have been, and should have been, much grander. Disc Two can essentially be summed up in a few words: more consistent but still solid. This disc flows much better overall in terms of musicality as well as compositional skill. While there are still some less than stellar tracks on this disc, they are drowned out by the amount of quality pieces this half of the soundtrack has to offer. Unfortunately, one such track is the opening track “Man on a Mission.” While it offers some nice melodic development and a heroic atmosphere, the overuse of the militaristic drum motifs, seen rampant in the first disc, plague this track as well. Another track that seems to suffer in terms of development is “Lur Xecran.” While it offers the only light-hearted theme on this disc, it is sadly, a very basic composition. The instrumentation is quite nice and offers a nice blend of electric guitar and percussion, but that doesn’t excuse it from being mediocre. One strength this disc has to offer is the use of poignancy. Mitsuda is able to create some extremely beautiful compositions. These efforts range from extremely emotional/borderline tearjerkers to captivating compositions. “Beautiful Day,” while one of the strangest compositions Mitsuda has done, manages to be extremely refreshing. It definitely gives off the aura of a sunny day with a carefree attitude. The key use of instrumentation here gives it a wonderful effect. “Memories” is an extremely moving piano composition, and while simple, the effectiveness of its composition is seen through the use of subtle development. Another strength to which I can credit Mitsuda is his use of development. Almost every track on this disc is developed spectacularly. “Stone Butterfly” is a fitting testament to this attribute. The variety of instrumentation, the melody, the build up of the melody, and the inclusion of the “Armodyne” motif really make this track a force with which to be reckoned. “Judgement Day” is also similar in this regard, but it also employs the use of some electronic development in the bass line. “After the Storm,” while employing the overused motif of the militaristic drums, is a track that is able to utilize them correctly. Offering subtle accompaniment to the pre-dominant strings and brass, the drums offer a nice contrast. “For Peace” is by far one the most exceptionally developed tracks on this album. From the memorable piano melody to the bombastic brass, this track is one that is sure to please. In a way, it sums up the very best from Mitsuda on this album. Lastly, I’d like to mention what I can only assume are the final battle themes. Fortunately, Mitsuda seems to have worked out the kinks he usually displays in his final battle themes. “Ark of Winds” is an exhilarating thrill ride that caters to almost every one of Mitsuda’s strengths. Fantastic melody? Check! A variety of instruments? Check! 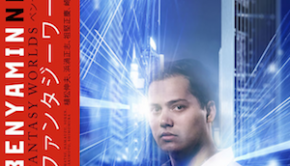 By combining his two main strengths, he is able to create a very motivating and thrilling battle theme. “Storm Dancer” takes it too the next level. Sounding more sinister than the previous theme, the addition of some haunting vocals, and the most surprisingly, a mysterious piano line serving as a tension builder, this battle track comes off much more successful. By including the “Armodyne” theme into this battle track as well, a sense of heroism is seen. It also ties the main idea of the album together extremely well. Disc Two is a rollercoaster of emotions. Ranging from soft, memorable tracks, to extremely grand masterpieces, this disc proves to be the more successful of the two and helps to counterbalance the album as a whole. First to answer the question whether or not Armodyne meets Mitsuda’s own high expectations: nope. Not by a long shot. But it also isn’t a bad soundtrack at all. 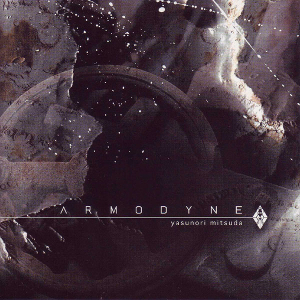 On the contrary, Armodyne is a truly enjoyable and captivating listen as a whole. While the militaristic feeling shown by the tracks can occasionally seem tedious and unnecessary, generally they fit perfectly with the melodies and remaining instrumentation, such as the use of them in metal and rock sounding themes. 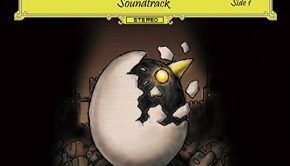 In addition, Mitsuda is able to utilize his strengths to create an extremely relevant soundtrack considering the style of the game. Amazing tracks such as “ARMODYNE”, “Parts Shop”, “Logistical Support,” the hypnotizing “Beautiful Day”, “Reason,” and “Storm Dancer” make Armodyne a recommended and overall enjoyable experience. Posted on August 1, 2012 by Murray Dixon. Last modified on January 22, 2016.